The National September 11 Memorial opened one year ago today in Lower Manhattan, and it has quickly become one of the most visited sites in New York City by tourists and locals alike. The somber location encourages emotional reflections on the past with its deeply inlaid pools and underground museum (which just yesterday got back on track for completion) while the sprouting construction for the new World Trade Center complex that encircles the memorial forces us to look hopefully toward the future. 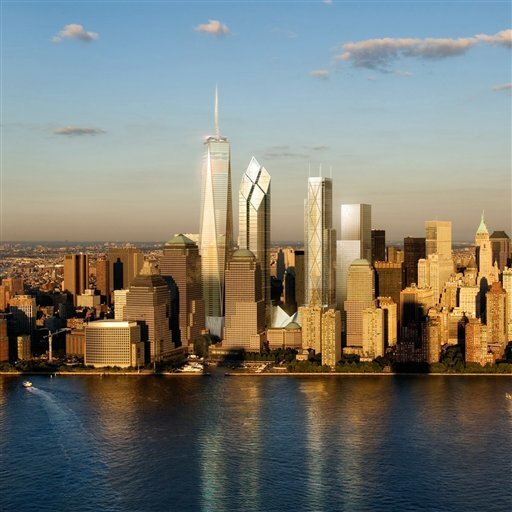 The most striking example of this growth upward and onward is 1 World Trade Center.